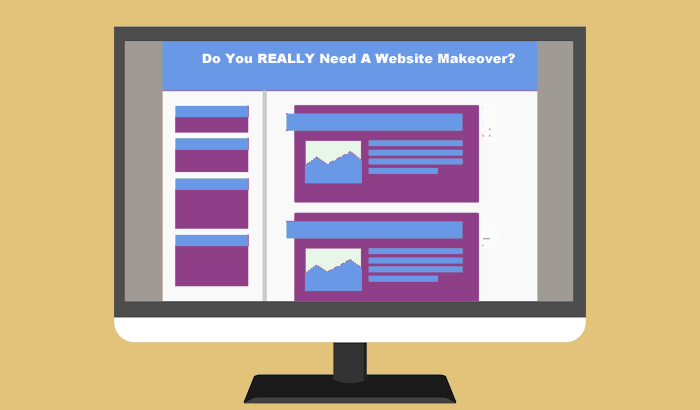 Business owners often view “website marketing” as “website makeover.” In fact, your website marketing may be fine just the way you have it now. You’re offered a free website evaluation and…surprise! You need a new website (which of course your free evaluator will do for a fee). At the risk of stepping on a mountain of toes, I’ll say, “You get what you pay for.” Busy writers, designers and coaches rarely have time to offer in-depth consultations without charging. You may pick up a few tips, such as “Don’t use italics in the body copy.” You may get chosen for a makeover that will be used as a demo to promote the resource. The truth is … your website marketing alone doesn’t tell the story. You have to look *outside* your website to decide if you need one. Before recommending a website makeover, your consultant needs to review your strategy and your current programs. I’m a great believer of fixing things only when they’re broken and building new things only when you have (a) a realistic objective and (b) a reason to believe the new site will move you towards your objective. When I work with clients as a consultant or coach, we don’t discuss websites right away, especially if my client is starting a new business or a new business direction. It’s easy to start with the website but painful to make changes as the business plan and strategy evolve. The printable part of my response is, “Take a hike.” Some of the ugliest websites are the most successful. You’ve outgrown your website: your current clients and business are not reflected in your current content. You’re telling someone else’s story … or no story at all. You constantly get asked, “I didn’t know you offered this service…” and it’s your signature program. 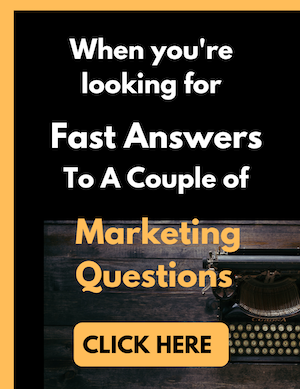 You attract interest and queries from prospects who are the wrong clients for your business, so you end up wasting time. If you’d like a consultation about your own website marketing goals, or figure out what’s keeping your stuck, let’s begin with a Power Hour Consultation. In just 90 minutes we can get to the heart of your marketing, identify the missing puzzle pieces, and take the first steps to reach your goals. Learn more here.